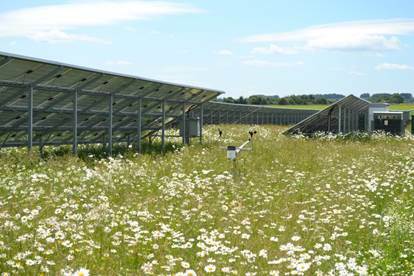 We are providing the following response on behalf of Transition Bath to the government’s consultation on Feed-in Tariff payments for renewable energy. If you want to be involved and agree with our view that it is likely to kill off the renewables industry in the short-term, please either write to your MP or sign this petition. “This consultation response is on behalf of Transition Bath, who believe in a low carbon economy and an energy market devolved away from the largely foreign owned big 6 energy companies in favour of small distributed largely community owned enterprises. We object to the piece-meal approach of the consultations. Why for example was the pre-accreditation consultation run separately from this one? We feel they should have been combined into a single consultation and not split. We object to a lack of assessment of the impact on employment in this analysis, we assume it was deliberate to avoid contentious news headlines? Stating that DECC is unable to determine how many are employed is a very weak excuse for not doing any assessment at all. We feel that in the absence of concrete employment statistics an economic assessment of job losses in ‘low, medium and high’ scenarios of perhaps 10,000, 20,000 and 40,000 should have been included in the impact analysis. It seems DECC is very able to include jobs estimates for a new industry like Hydraulic Fracturing but unable to do the same for an existing industry like renewables, the latter of which we would have thought would have significantly easier? We feel the most likely scenario is that there will be a rush to install prior to Jan 1 2016, which will use up the LCF, option 3 will come into effect and the FIT scheme will be closed. Post Jan 1 2016 it is likely further small scale installations of renewables will stop completely until perhaps 2020 when solar PV reaches grid parity; thus solar PV in particular will be funded only by export tariffs and some savings on import – no detailed discussion of this most likely scenario appears in the consultation documentation. Will export tariffs be maintained in the absence of FITs? Will the market, with the advent of Smart Metering move to a more auction based scenario for solar electricity, and what will the impact of cheap battery technology have on this? The impact analysis and determination of proposed FIT levels is narrowly based on the assumption of a hurdle rate or expected rate of return of 4%, as being the minimum acceptable to investors. As far as we know no successful local community share offer has achieved full funding with less than 5% return, and more typically 7% return has been required. The PB report fails to detail why investors might be interested in investing at 4% given the risks of the investment which are largely down to uncertainty of government policy. Our expectation is that at a 4% return community energy schemes will funded and thereore not built. Why does DECC think 4% rate of return acceptable for solar PV but 13.5% acceptable for nuclear power at Hinkley – it appears nuclear power enjoys significant favour over solar PV? We feel that this change will have a particularly bad impact on the Community Energy Sector, which benefits local communities via inward investment, and is only likely to benefit the largely foreign owned big 6 energy suppliers. As a result of the more strategic review we requested above, we feel that the amount of money allocated to the LCF should have been reviewed and potentially revised upwards in line with a long term strategy for the renewables industry and in particular to manage the industry from now until grid parity in about 2020. A higher LCF, along with higher expected investment returns would have allowed for continued, perhaps lower level investment in renewables and employment in the sector, rather than cutting it off completely. We don’t think that the LCF for 2020 should have been fixed based on a determination in 2010, the purpose of a strategic periodic review should be to examine all aspects of the FIT framework. Given FITs only have a small impact on consumer’s electricity bills (£6/year), and that the sector employs large numbers of people we feel increasing the LCF should have been examined as an option. Consultation Question 1. Do you agree or disagree with the proposed generation tariff rates set out above? Please provide reasons to support your answer. The impact analysis and determination of proposed FIT levels is narrowly based on the assumption of a hurdle rate or expected rate of return of 4%, as being the minimum acceptable to investors. As far as we know no successful local community share offer has achieved full funding with less than 5% return, and more typically 7% return has been required. The PB report fails to detail why investors might be interested in investing at 4% given the risks of the investment which are largely down to uncertainty of government policy. Our expectation is that at a 4% return community energy schemes will funded and therefore not built. Why does DECC think 4% rate of return acceptable for solar PV but 13.5% acceptable for nuclear power at Hinkley – it appears nuclear power enjoys significant favour over solar PV? In answer to the 1st consultation question, we disagree with DECC’s proposal for all the reasons given above, and in particular we feel the 4% investor return/hurdle rate is too low, a more strategic review should have taken place with the potential to raise the LCF cap. Consultation Question 2. Do you agree or disagree that the updated assumptions produced by Parsons Brinckerhoff are reflective of the current costs of deployment for UK projects in your sector? If you disagree, please set out how they differ and provide documented evidence, such as invoices and/or contractual agreements to support this evidence. Please also mark this evidence as commercially sensitive where appropriate. The costs seem in line with our experiences. However in the South West where the government expects to deploy most future cost effect solar installations, grid capacity constraints are likely to push up DNO/grid connection/reinforcement costs up more than PB predict. Consultation Question 3. Do you consider the proposed default degression pathways fairly reflect future cost and bill savings assumptions in your sector? Please provide your reasoning, supported by appropriate evidence where possible. No, although the cost and bill savings might be reasonable, the economic/impact analysis is flawed because of the 4% baseline return used to model the impact. Consultation Question 4. Do you consider it appropriate to harmonise the triggers for contingent degression across all technologies, and do you consider the proposed triggers will ensure tariffs reflect falling deployment costs? Please provide your reasoning, supported by appropriate evidence where possible. We consider each renewable sector should be handled separately as they all have subtle nuances, for example the timing of hydro installations are likely to be determined by low summer rainfall, and it seems problematic to tie them to a single assessment which may be more rational for other sectors.Overall, we think this question almost pointless given we predict the FITs post Jan 1st 2016 will be set to zero as a result of an oversubscription between now and then causing the LCF cap to be exceeded. So fiddling around with the subtle nuances of this level of detail are likely to be pointless as there won’t be a scheme. Consultation Question 5. Which of the options for changing the export tariff outlined above would best incentivise renewable electricity deployment while controlling costs and enabling the development of the PPA market? How should we account for the additional and avoided costs to suppliers associated with exports in setting the export tariff? Please provide reasons to support your answer. Without a wider discussion of the impact of battery based storage systems, which is likely to be very disruptive to the industry with the potential for many consumers to exist largely off grid once the monetised lifecycle costs of batteries drop below wholesale electricity costs. There is not one mention of batteries in the main consultation document which we feel is a significant oversight. We think without this more strategic thinking the export tariff should not be tinkered with and should be dealt with outside of this short-termist consultation, or as we suggested in answer to question 1, this more strategic analysis of the wider implications of renewables and battery storage should have been dealt with prior to this consultation even taking place. Consultation Question 6. Do you agree or disagree with the proposed changes to the indexation link under the FITs scheme? Please provide reasons to support your answer. We have no strong views on this. In theory CPI might be the better benchmark, but you might also interpret DECC’s choice and rationale for this suggestion as the one with the least cost. We do however feel that the inflationary linkage of these schemes should include accommodation costs which CPI currently excludes. Consultation Question 7. Do you agree or disagree with the proposal not to include any additional technologies in the FITs scheme? Please provide reasons for your response. If new technologies come along DECC should assess them expediently, to encourage their take up. Consultation Question 8. Do you agree or disagree with the proposal to introduce deployment caps under the FITs scheme? Please provide your reasoning. Only if the LCF overall funding is increased. To date the government’s management of FITs has led to boom and bust cycles, this current proposal is likely to lead to almost no new future deployments until grid parity is reached in 2020, so given this we are not sure of the relevance of such caps particularly if under the current LCF the cap is reached as a result of a boom cycle between now and 1 Jan 2016? Consultation Question 9. Do you agree or disagree with the proposed design of the system of caps (i.e. quarterly deployment caps broken down by technology and degression band)? If you disagree, are there any alternative approaches? Please provide your reasoning, making clear if your answer is different for different technologies or sectors. Some clever mechanism like this for managing the rate of installations should have been in place when the scheme was developed in 2010/2011. We think the concern is that if you were likely to miss out on a set tariff level as a result of the maximum deployment for a period being reached it would cause rushes to deploy in the early part of a period, so that an installation was eligible for that band. Like previous significant degressions this would lead to an un-satisfactory rush to install which would result in higher installation costs and would reduce the value for money of the scheme to UK plc. Consultation Question 10. Do you agree or disagree with the proposed approach to implementing caps? If you disagree, are there any alternative approaches that you’d suggest? Please provide your reasoning, making clear if your answer is different for different technologies or sectors and provide any views on what should happen to applications for FITs for installations which miss out on a cap. As we discussed in more detail, we feel that a process which has more regular review, for example monthly rather than quarterly might lead to smoother less volatile rates of installation which would lead to lower overall costs. The current proposal doesn’t seem to address this as we discussed in our answer to question 9 we feel this proposal would continue the boom and bust cycle which has plagued the industry since FITs were introduced. Consultation Question 11. If it is not possible to sufficiently control costs of the scheme at a level that Government considers affordable and sustainable, what would be the impact of ending the provision of a generation tariff for new entrants to the scheme from January 2016, ahead of the 2018-19 timeframe or, alternatively, further reducing the size of the scheme’s remaining budget available for the cap? Please consider the immediate and broader economic impacts and provide your reasoning. It’s difficult to comment on this question and DECC appears to provide no discussion of the issues in the relevant section of the consultation document.However, we would like to see the LCF increased and therefore perhaps this question would not be necessary? Consultation Question 12. What would be the impact of pausing applications to FITs for new generators for a short specified period to allow the full implementation of the cost control mechanisms? Please consider the immediate and broader economic impacts and provide your reasoning. It is likely to just increase investor uncertainty in the industry and propagate the prevailing view that the government is unable to shape policy to manage industries with anything apart from a very short-termist view. This is why to increase uncertainty we fell the LCF should be raised until a more strategic long-term analysis has taken place over where the industry is heading over the next 10 years. Making decisions to kill off the industry which DECC describes as a ‘pause’ is very unhelpful – this pause it likely to lead to a large number of job losses and companies either leaving the market or going bust? Consultation Question 13. What would be the impact if FITs continued as an export-only tariff for new generators on reaching the cap of £75-100m additional expenditure? Please provide your reasoning. We feel that most potential generators would avoid investing until greater long-term certainty over export-tariffs is outlined. The risk of investing in a scheme entirely dependent on export tariff’s is that the government will change the rules while the scheme was being development adversely impacting the profitability of the scheme. Investors would also be mindful of how competitive a scheme developed before grid parity is reached with one developed afterwards.It is likely that investors would take the low risk approach and not invest in the short-term. Closing FITs would also reduce investment returns significantly below 4%, which would probably mean those funds would be allocated to other asset/asset classes. Consultation Question 14. Do you have any views on the use of competition to prioritise applications within a system of caps? What do you think are the advantages and disadvantages of this approach? What forms of competition may be appropriate and is this different for different sorts of installations? Please provide your reasoning. In theory this is a good idea, but it very much depends on the detail. Categorisation would be key as it would be difficult for a domestic consumer’s 4 kWp installation to complete on a cost basis with a multi-MW solar farm – and it would also be more difficult to assess the more esoteric and more qualitative benefits over smaller local installations on reducing grid loads and losses.If this mechanism were to go ahead, as an organisation representing the community we feel there should be special categories for domestic installations and community groups who benefit the wider community and not just private investors. Consultation Question 15. Should FITs be focussed on either particular technologies or particular groups (e.g. householders)? Please provide your reasoning. We would like to see a shift away from the ‘big 6’ foreign owned energy producers in favour of local community owned energy companies. So yes, favour should be given to community based groups as they diversify the industry making it more competitive in the long term but also promotes a sense of local buy-in and ownership. All too often we London and big business centric government departments seem to have a rather myopic view of the world which is not reflected at a local level outside London.In terms of investment in particular technologies, we believe in a diversity of supply and so we would be uncomfortable if FITs favoured one technology over another? FITs should aim to provide a mix of energy supplies and as a result differing tariff’s will be required for each one. We strongly disagree with this as we feel it is not a cost effective approach. It might be that extending an existing scheme is the most cost effective approach. We feel that there must be a pricing mechanism DECC can come up with for schemes which have been extended. So for example you could consider a scaling scheme. So as an example if an installation of 4 kWp acquired a tariff of 40p/kWh in 2012 and was subsequently extended in 2015 by 6 kWp to 10 kWp, the 4 kWp installation in 2012 would then acquire the FIT tariff for a 10 kWp installation as was available in 2012 e.g. 36p/kWh rather than either banning any extension or dropping the 4 kWp’s installation to the 10 kWp rate for 2015. Although such a suggestion might seem complex we feel with modern online technology, if a rationale scheme was thought up it could be easily converted into an online tool which would calculate the updated component FIT tariffs automatically – something easily achievable even in a relative simple spreadsheet. Consultation Question 17. Given our intention to move to fully metered exports for all generators, do you agree with the proposal that new and existing generators should be obliged to accept the offer of a smart meter (or advanced meter) when it is made by their supplier? Please provide reasoning for your response. Consultation Question 18. Do you agree or disagree with the alternative proposal that new applicants must have a smart meter (or advanced meter) installed before applying to the FITs scheme, with existing generators being obliged to accept the offer of a smart meter (or advanced Consultation on a review of the Feed-in Tariffs scheme meter) when it is made by their supplier? Please provide reasoning for your response. Consultation Question 19. Do you have any views on possible approaches to introducing remote reading for generation meters? Please provide reasoning for your response. Consultation Question 20. Do you agree or disagree that recipients of FITs should be required to notify the relevant DNO of new installations as a condition of the scheme? It would seem a sensible suggestion but we disagree as some DNO’s charge very high costs for line reinforcement with very little justification. So for one of our volunteers wanting to install a 5 kWp solar system, the DNO has quoted £23K+VAT to reinforce the line despite there only being one other 4 kWp installation on a local network supporting 100 homes, making the installation completely uneconomic. Given the DNO’s monopolistic control over such systems this would leave many at a disadvantage. We feel that in order not to discriminate against prospective generators whose circumstance is determine by where they live and a shortage of investment in the grid in their area that that should be a fixed standard levy of perhaps £200/kW on all installations to pay for general grid upgrade costs to mitigate grid shortcomings in a particular locality. This would allow for example in the South West for greater investment in grid capacity which is currently constraining the system.We also feel with the advent of battery based systems that some of these constraints will be relieved by distributing peak generation over a longer time period.Ultimately this proposal will only serve the DNO in continuing to provide insufficient infrastructure, and as a monopoly serving their shareholders (our DNO Western Power is a subsidiary of an American company) rather than the wider good of UK plc. Consultation Question 21. Do you agree or disagree the FITs scheme should be amended to include requirements that help mitigate and limit the impact on grids such as requiring generation to be colocated with demand or storage? Yes, but it is too early to implement this. Any decision on this should be deferred to at least a year when a better understanding of emerging battery storage technologies will be available. This assessment would need to take place in conjunction with cleverer Smart Metering systems than currently being proposed, so supply and demand can be dynamically managed at a local grid level. Consultation Question 22. Do you agree or disagree that the FITs scheme or wider networks regime should be amended to ensure generators pick-up the costs they impose on the network? Yes but only if this is a general tariff applied as a single rate across the whole of the UK. It seems unfair to target generators in areas where the DNO has under-invested, and it would seem if not applied as a general tariff to potentially favour uneconomic installations e.g. solar PV in northern cities versus the grid capacity constrained South West. A long term assessment of the shape of a future grid where battery technology is pervasive should take place before any decision on this question takes place. Consultation Question 23. Do you agree or disagree that payments to newly accredited AD installations, at all scales, are conditional on meeting the proposed sustainability criteria? Please provide your reasoning. Yes, we think it important to avoid the perverse incentive of using arable land exclusively as a biomass source for AD. We don’t however have enough knowledge to comment on the technicalities of DECC’s proposal. Consultation Question 24. Do you agree or disagree that the proposed criteria and GHG trajectories set out above would set the necessary bar to meet our objective to incentivise the multiple benefits from waste-fed AD? Can you suggest alternative criteria which would help to achieve this goal? Please provide reasoning and evidence for your answer. We don’t however have enough knowledge to comment on the technicalities of DECC’s proposal. Consultation Question 25. Do you agree or disagree with the proposed reporting system to underpin sustainability criteria? Please provide your reasoning. No comment due to lack of knowledge. Consultation Question Question 27. Do you agree or disagree that we should introduce a cap on the amount of overseas generated renewable electricity that can be exempt from the costs of the scheme? Do you agree that the cap for 2016/17 should be calculated based on the number of GoOs recognised in 2013/14, increased by 10% twice to match the cap under the CFD Supplier Obligation? Consultation Question 28. Do you agree or disagree with the proposed change to the FITs legislation to refer to specific versions of relevant MCS standards? Please provide your reasoning? Consultation Question 29. Do you agree or disagree with the Government’s proposal to use interest accrued on the FITs Levelisation Fund to part-fund administrative changes to the scheme which would otherwise be borne through public funding? Please provide your reasoning. Yes, it seems reasonable based on the evidence presented. Consultation Question 30. Do you agree or disagree with the revision being considered to increase the energy efficiency threshold to EPC band C for anyone with an installation to which the criteria apply? Please provide your reasoning. We feel the band D criteria should be retained, but this assessment should take place before solar PV is installed. Given many older solid-walled properties struggle to meet band D then by moving to C you are probably excluding all historic properties which might lead to a significant division where more modern properties are in a position to cheaply via the use of renewables make themselves even more efficient and older properties have almost no viable economic opportunity to participate in FITs.We however prefer if the system moved away from a SAP based assessment and looked at a green-deal type assessment which forced hone owners to implement all low cost measures with short paybacks e.g. < 5 years before they become eligible for FITs.As a further comment on SAP/EPC assessments it is well known in the industry that there is a ‘performance gap’ between modern buildings and their EPC assessments, which overstate their energy efficiency, and thus moving to a band C limit might perversely propagate this market failure. Having said all that, given we feel that because of the high take up of installations prior to 1 Jan 2016, and that the FIT scheme will as a result be closed we are not sure this change in criteria will be relevant? Consultation Question 31. Do you agree or disagree with the revision being considered to remove FITs eligibility from anyone with an installation to which the criteria apply who does not have at least an EPC band C? Please provide your reasoning. Consultation Question 32. Do you agree or disagree with the exceptions for community groups, schools and fuel poor households to the revision to the energy efficiency criteria being considered? Yes, absolutely, there should be a bias towards such groups as they often don’t have the capital or economic incentive to invest in certain long term energy efficiency measures.We do however feel that these groups should be forced to implement low cost measures recommended by EPCs before they become eligible for FIT type subsidies. We for example have experience of installations on schools where the energy wasted in running heating systems with faulty timers which could be fixed for a few hundred pounds it much more cost effective than the energy saved by installing solar PV on their roofs for many thousands of pounds. For commercial buildings moving to some form of dynamic assessment based on for example DEC certificate ratings might be a better approach than EPCs?Again, having said all of the above, the proposal is pointless if the FIT scheme is going to be closed on 1 Jan 2016. Posted in Bath and West Community Energy, Energy and tagged DECC Consultations, Department of Energy and Climate Change.